Beard Oil is an essential ingredient in any bearded gentleman’s day! When you work beard oil through your beard and moustache, the hydration goes straight to the follicle, much like a conditioner does when you wash your hair. 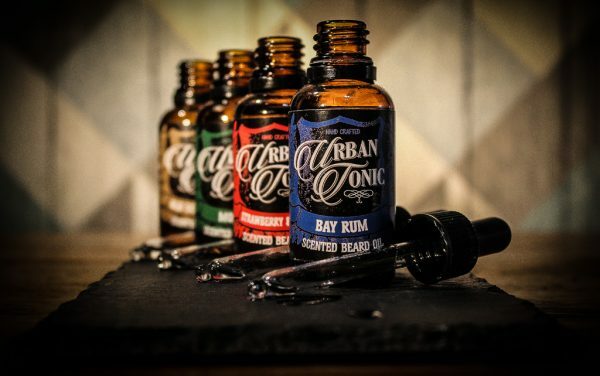 Urban Beard Oils come in 30ml with a black pipette. 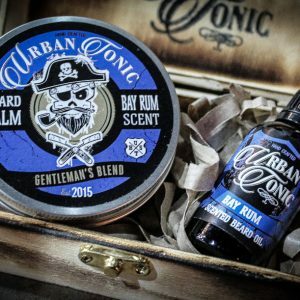 The first ever scent by Urban Tonic reincarnated with slick new graphics but still the same awesome scent! Our Urban Tonic Beard Oil is made with a fine blend of oils such as Grape seed and Sweet almond. Its also enriched with vitamins to promote your beard growth while maintaining it at the same time. Beard Oil is an essential ingredient in any bearded gentleman’s day! When you work beard oil through your beard and mustache, the hydration goes straight to the follicle, much like a conditioner does when you wash your hair. That hydration keeps your facial hair healthy as it grows, but it also hydrates your skin, which doesn’t get a lot of attention under a beard. This helps to prevent beard flakes, like dandruff caused by irritation and scratching, which we’d like to avoid at all costs. I love this company I now have all beard oils except the whiskey label. I’ve used strawberry & mango the most it’s so fruity and leaves a lasting smell. Bay rum is strong and different, hard to discribe but it’s nice. Mojito is like being in the woods, being one with nature you get that fresh fragrance to wake you up. Old school gold is unique I would definitely recommend it. Always support local businesses!!!!! !